Chandeliers are used as decoration items for centuries. Expensive chandeliers with ornamental works have adorned the Royal Courts all over the world. Now, we do not have many Royals around the world, but Chandeliers are still in use. They come in different sizes and prices. 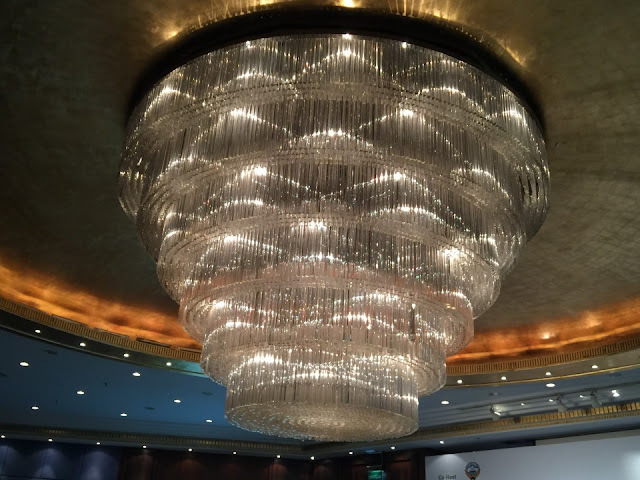 Here is a Chandelier at JW Marriott Hotel, Kuwait at Jahra Ball Room. The full magnificence of this Chandelier can only be seen in person.